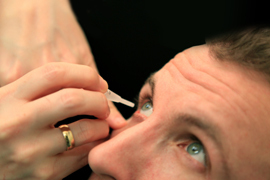 Diabetic eye disease is a leading cause of blindness in the UK. Diabetes can affect the blood vessels, causing them to leak in the back of the eye (the retina); this is known as diabetic retinopathy. Having your eyes screened regularly will help detect any changes caused by diabetes. 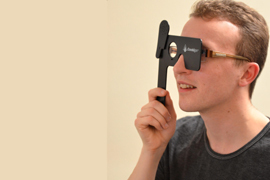 Even if you feel your vision is fine, it is still important that you attend eye screening. Diabetic eye disease can harm your vision, though you may not experience any symptoms until it is at an advanced stage. 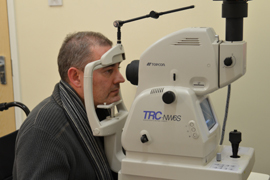 All people with diabetes are at some risk of getting diabetic retinopathy. 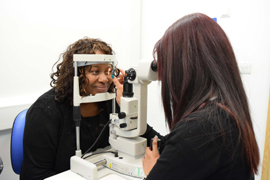 People with diabetes aged 12 or older should get your eyes screened regardless of whether you use insulin, tablets or diet to keep your diabetes under control. 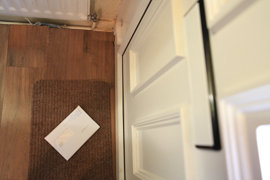 Do not delay in booking your appointment when you receive your invitation letter; time is an important factor. At the appointment your sight will be checked. Please bring all spectacles that you may use. You will still need to attend your optometrist (optician) every one or two years for a sight test and checking your overall eye health. You will have drops put in your eyes. These will make your pupils bigger. You may want to bring sunglasses with you as everything will look bright due to these eye drops. It is very important that you DO NOT DRIVE for 4 to 6 hours after having the eye drops as your vision will be affected. Photos are taken of the back of your eyes. You will see a flash but note that nothing touches your eyes. The sooner you are screened, the sooner we can detect potential problems and protect your vision. Remember, diabetic eye screening does not detect other eye conditions such as glaucoma or cataracts. Your results will be posted to you within a few weeks. Your GP and to the co-ordinators of the National Screening Programme will also be notified. Nobody else will receive your results unless you give permission. Digital Surveillance appointments are made to monitor any changes found during your annual photographic screen. Photos are taken at set intervals and are checked by specialists. These tests are done at hospital & clinic sites. . 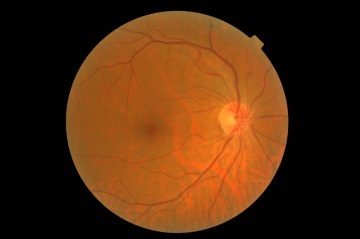 This test was previously called Ophthalmic Photographic Diabetic Review (OPDR). 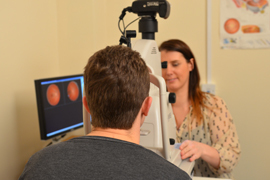 Slit Lamp appointments are made if photographs taken during your last screen did not give a clear enough view of the back of your eyes. The Slit Lamp allows for a 3D examination of the back of your eyes. When you are pregnant your body goes through a lot of changes. These changes can cause diabetes to damage your eyes. All antenatal patients should be screened within their first trimester and then at set intervals during pregnancy. 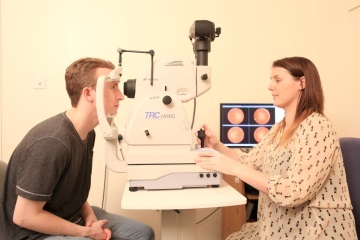 OCT is used for evaluating the layered structure of the back of your eye (the retina) and is used to determine if there is any ‘swelling’ (macular oedema). 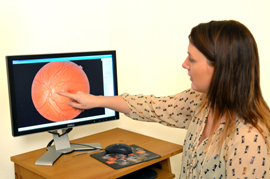 Macular oedema is harder to detect on the traditional 2D digital photographs used for screening. 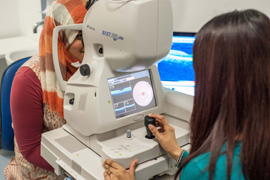 The Diabetes Dept at our Good Hope Hospital have produced more information for patients that includes more about retinopathy and the causes of diabetes.